Are you thinking about starting your crafts for Easter yet? 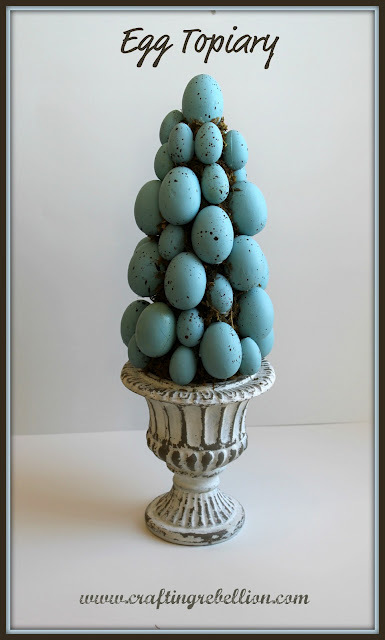 If so, why not start with a real easy project like this egg topiary? If blue's not your color, paint the eggs any color you'd like. Find the full tutorial at Crafting Rebellion.